I've been using an amazing little app called Ibotta that makes it so much fun to go shopping. If you're going to spend money anyway, why not get paid back a little for doing it when you get home? In this Ibotta app review, I've explained how it works, who can use it, which devices you need and — most important — the earning potential. It is very simple. First, sign up. Then look at the offers available to you. You'll see a ton of products you use every day that you would probably buy anyway when you're out shopping. Each item will have a dollar amount under it. The dollar amount listed means that if you buy that item at the store, that's how much Ibotta will pay you for proving you bought it! 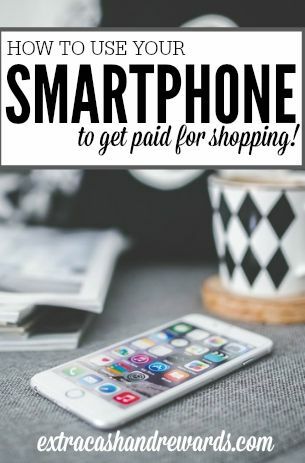 You add the offers you're interested in, do some simple tasks pertaining to those offers, and then do your shopping as usual (be sure to buy the items you added, of course!). The tasks are always simple things you can do right then and there, like answering a short survey. You can also benefit from Ibotta with in-app purchases. You can check which apps Ibotta supports for this, go into the app through Ibotta, make a purchase, and then Ibotta will credit you for what you bought. There are some popular apps supported for this like iTunes and eBay, just to name a few. How do you use your loyalty card on Ibotta? If you happen to have a store loyalty card that Ibotta accepts, you can link it via the app and then you don't have upload your receipt. Scanning your loyalty card at checkout is enough to prove your purchases. How do you prove your purchases on Ibotta? Again, very easy. There's no need to scan bar codes or anything like that. Just upload your receipt to Ibotta when you get home. You do this by taking a picture of your receipt with your phone's camera. Ibotta will verify that you did indeed purchase the item(s) you added to your offers list and then credit your account accordingly. It usually takes less than a day — sometimes just a few hours — for them to verify your items. Also, there are some stores where if you have a loyalty card, you don't need to upload your receipt. Ibotta can trace that you made the purchase through your loyalty card. And then how do you get paid? This is my favorite part — you get paid with Paypal or Venmo and you only need to have $20 accumulated! It's very, very easy to reach the $20 amount when you see how much the items listed pay. There are also options to get gift cards to popular stores like Amazon, Walmart, eBay, and others if that's more your cup of tea. Once the funds are showing in your Ibotta account, you can cash them out immediately and there is little waiting. You'll get the email that you got paid right away usually within 24 hours. Does Ibotta work at all stores? When Ibotta first came out, it was a lot more limited than it is now. You can go here to see where it's available. It's something you can use at most major retailers. The list is gigantic now compared to what it used to be, so I don't think you'll have any trouble finding somewhere to use the Ibotta app and get paid. There are currently over 280 supported stores. You just need a mobile device (smartphone, tablet, etc.) that can work with Apple or Android. The download is 100 percent free, and getting it all set up is incredibly easy. As of now, Ibotta is only available to people in the United States. If you're in Canada and looking for a similar app, we recommend downloading Checkout51. Can you get paid to refer your friends? Yes. Absolutely share the referral link you are given with your friends (if you are impressed with the app and I really think you will be). If you sign up through your Facebook account, Ibotta will automatically add any friends you have on Facebook to your “team” and apparently the more people that are on your team, the faster you can earn money. Ibotta will give you bonuses for referring a certain number of friends. The amount of this bonus tends to change, but for March 2019, they are offering a $55 bonus if you refer five friends (just to give you an idea). Over the years, I've tried a lot of different smartphone apps. And to be honest, most of them aren't still around. Ibotta is an exception because it's very quality, and the people who created it really know what they're doing. They understand how to make something that appeals to both store owners and shoppers. Shoppers like you and me enjoy Ibotta because we get to earn money for doing something we have to do, and the stores supported by Ibotta benefit because they get their products out there in front of consumers — sometimes new things they are wanting people to try — so it's a win-win. 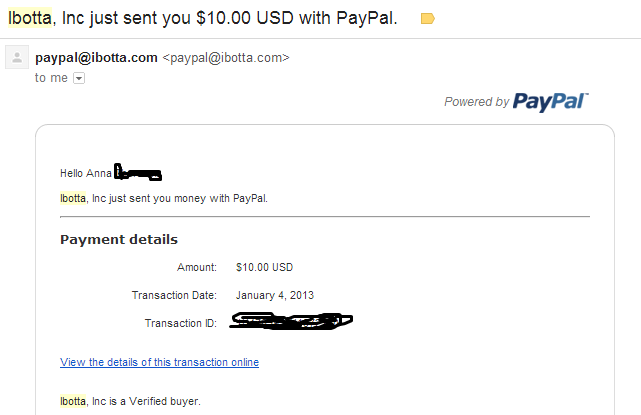 As for me personally, I like Ibotta a lot, and I've never had problems getting paid. If I had to complain at all, it's because I don't always remember to open it up and use it since I'm very much an “on-the-go” mom who frequently leaves the house forgetting various things, much less remembering to use an app. But I do use it when I think about it and, again, it has made me money consistently. Ibotta Reviews – What Do Other People Say? I don't expect you to make your decision just based off my experience with the app. You can easily go on the Google Play and Apple stores to see how Ibotta currently rates. Apple currently has it at 4.7 of 5 stars — which is fantastic — and the rating is identical on the Play store. Of the few complaints about the app, some talk about it being buggy (something I've experienced myself, but not very often), and others have complained it takes too long to get their rebates and get paid. But again, I haven't experienced that. Not to say it doesn't happen, though. Now that you know how Ibotta works, go here to get started if you feel it's something you might benefit from. Good luck! Post originally published on January 6, 2013. Updated and republished on March 7, 2019.